Amid Florida’s steamy and stormy summer, a group of researchers conducted something of a modern-day version of Benjamin Franklin’s legendary lightning-kite experiment, only instead of tying a metal key to a kite, these scientists have weather balloons that they send into thunderclouds in order to learn more about how, when and where lightning forms. And these scientists are perhaps a bit more averse to the potential for self-injury than Franklin, who succeeded in shocking himself once while experimenting with electricity in his home laboratory, according to The Franklin Institute. Today’s researchers know a bit more about the dangers of lightning, which is one of the reasons they want to know more about it. 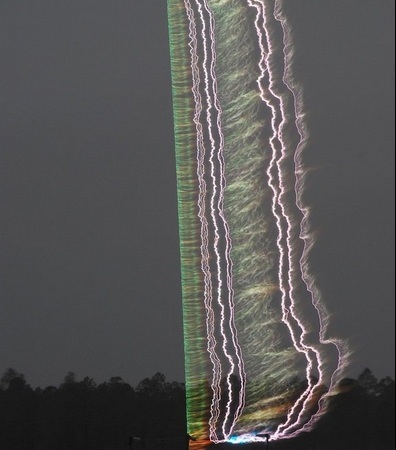 The aim of the ongoing experiment, run by the University of Florida and conducted in early August this year, was to better understand how lightning is formed, where and under what circumstances it occurs in storms, and how to use that information with the data on lightning occurrence available to forecasters to improve forecasts of severe weather.